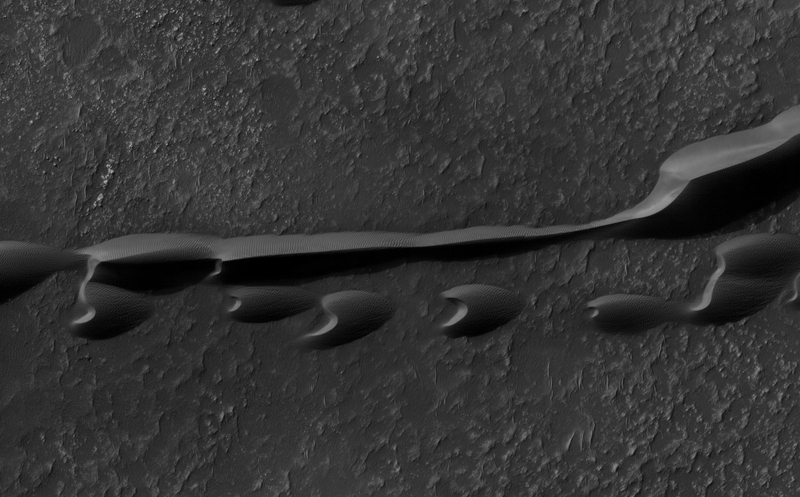 This observation shows sand dunes within the Hellespontus region of Mars. The sand appears to come from the layered mesas and knobs, features that have been eroded by powerful winds. The dunes here have a morphology indicating formative winds blowing from east to west (from right to left). The primary indicator for this is the orientation of the barchan dunes, a dune type that on Earth has its horns in the downwind direction. Also, the steepest faces of the dunes are on the dunes’ eastern side, indicating easterly winds. 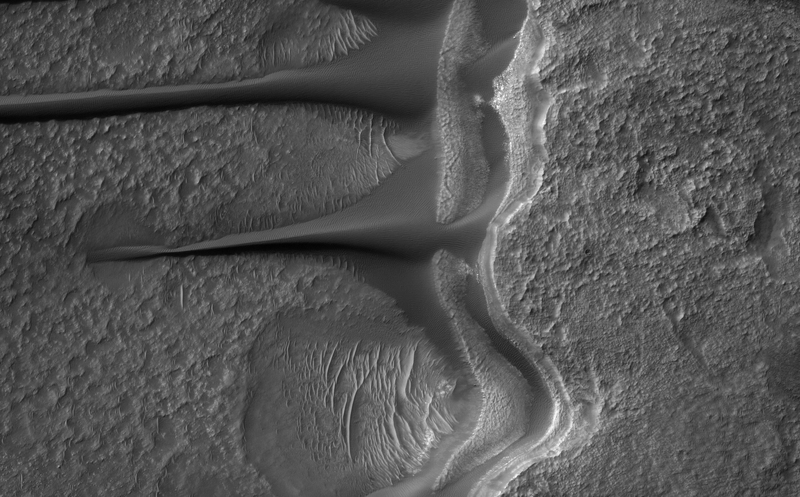 In addition to the barchans, some of the dunes are organized into a “seif,”, or longitudinal, form whereby their long axis is parallel to the wind. 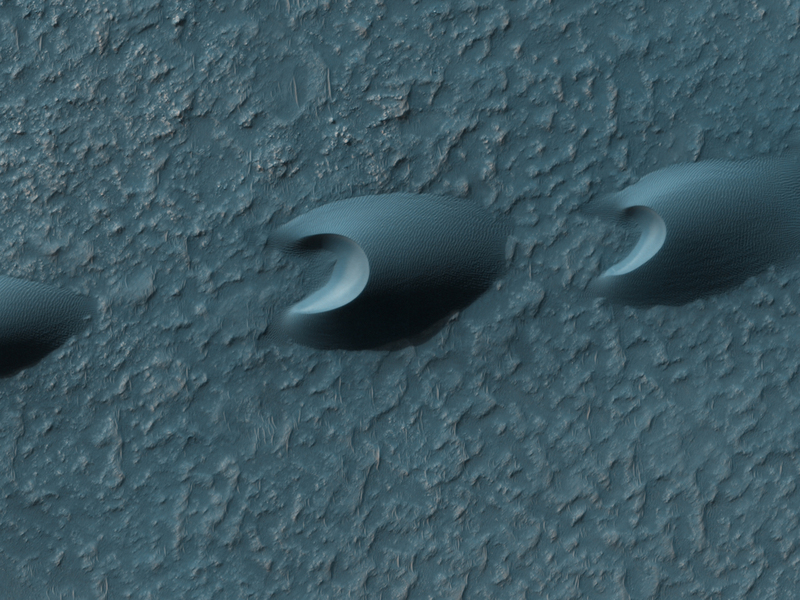 These are seen emanating from the sand sheets next to the mesas and knobs, as well as from some barchan horns.